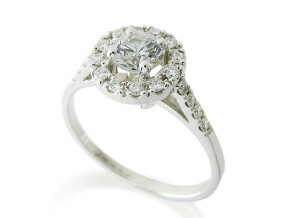 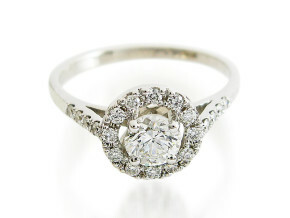 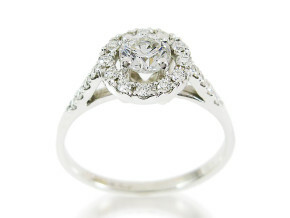 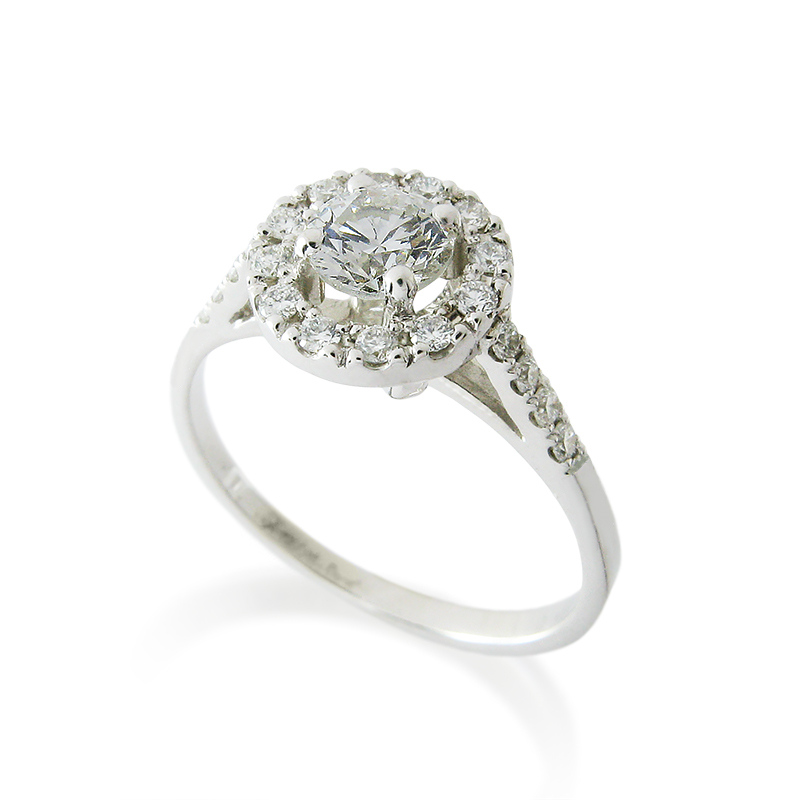 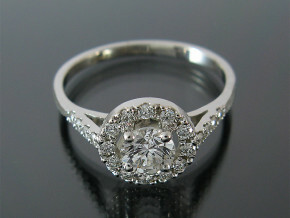 This gorgeous halo engagement ring is a white gold diamond ring. 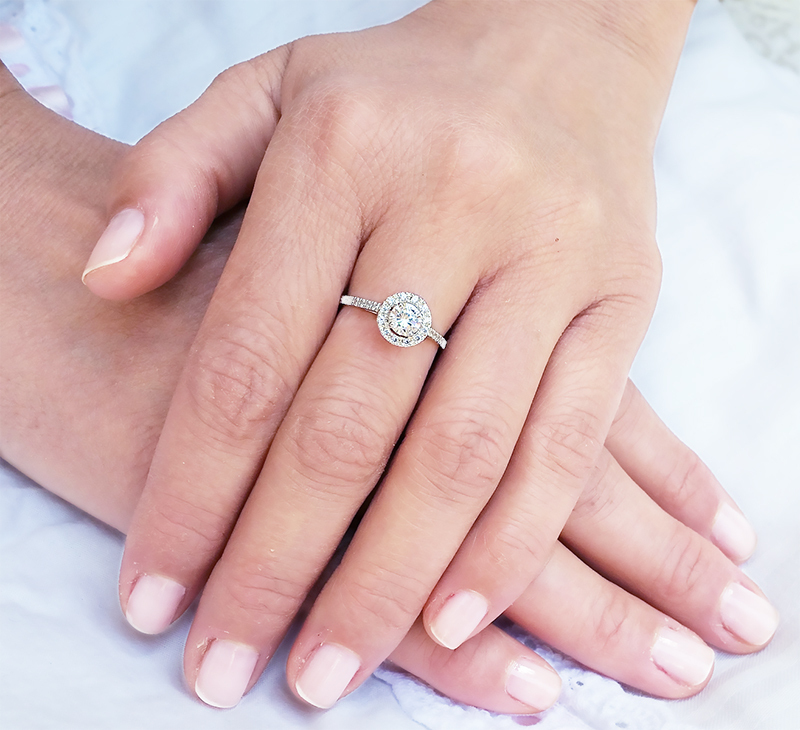 If you love the modern and popular Halo style but prefer unique engagement rings, you will appreciate this designer engagement ring because it is delicate and beautiful diamonds wedding ring that is handmade just for you. 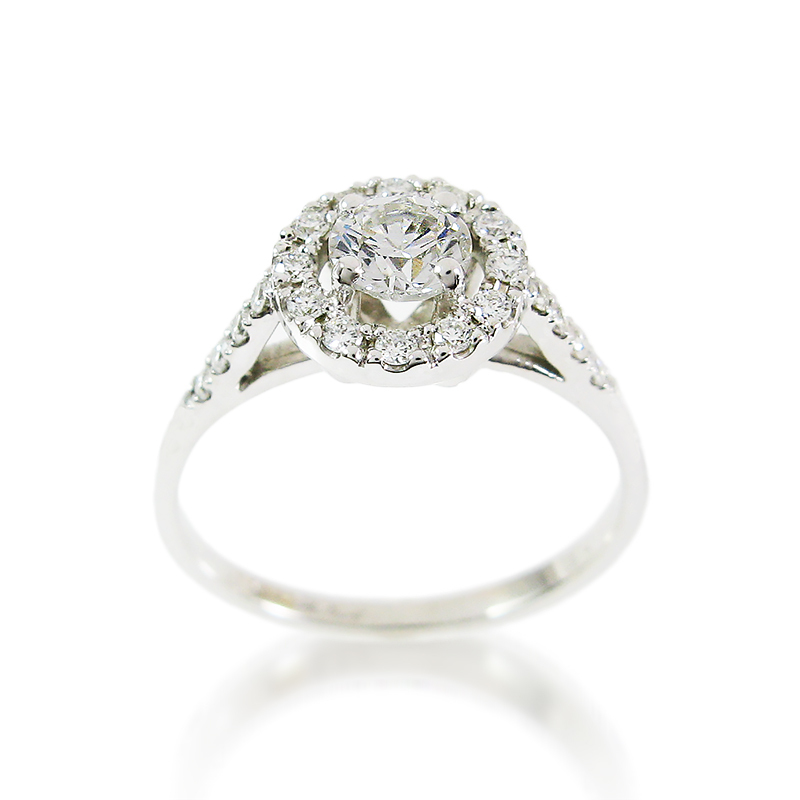 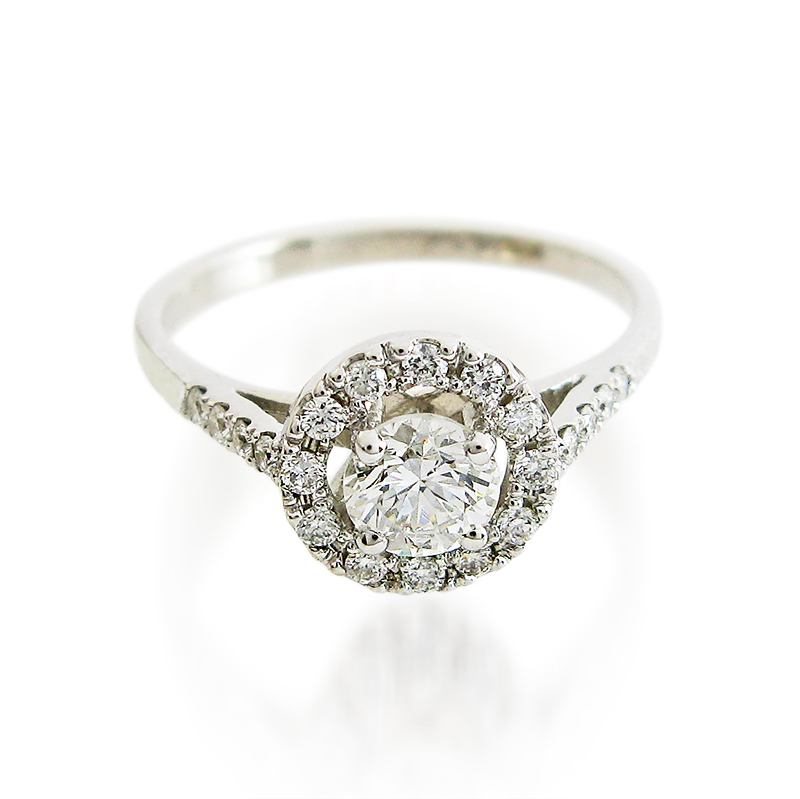 1/2 carat center diamond is emphasized by diamonds that sparkle in concentric circle around it. 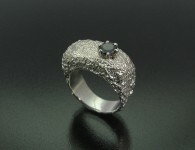 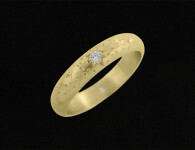 The top of the ring's shank is also set with diamonds on both sides. 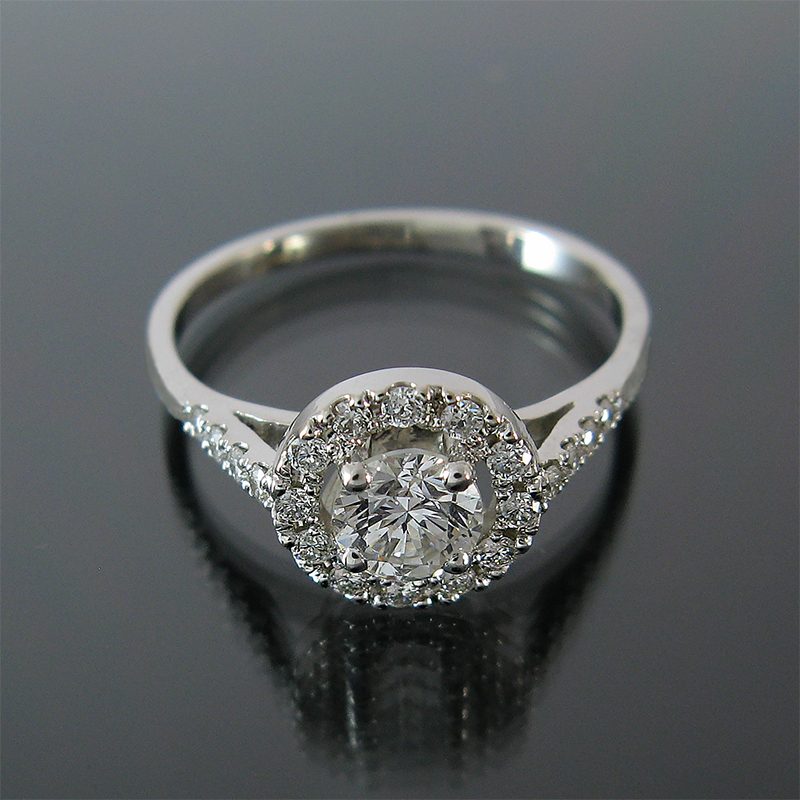 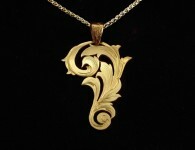 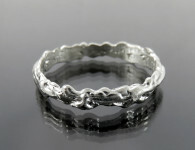 Category: All Rings, Engagement Rings, Engraved, Rings. 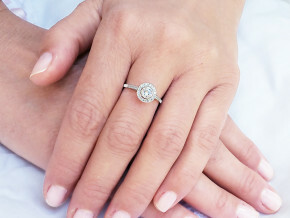 Tags: 0.5 carat, diamond engagement rings, diamond rings, engagement rings for women, halo diamond rings, Halo engagement rings, Halo rings, unique engagement rings, White gold.